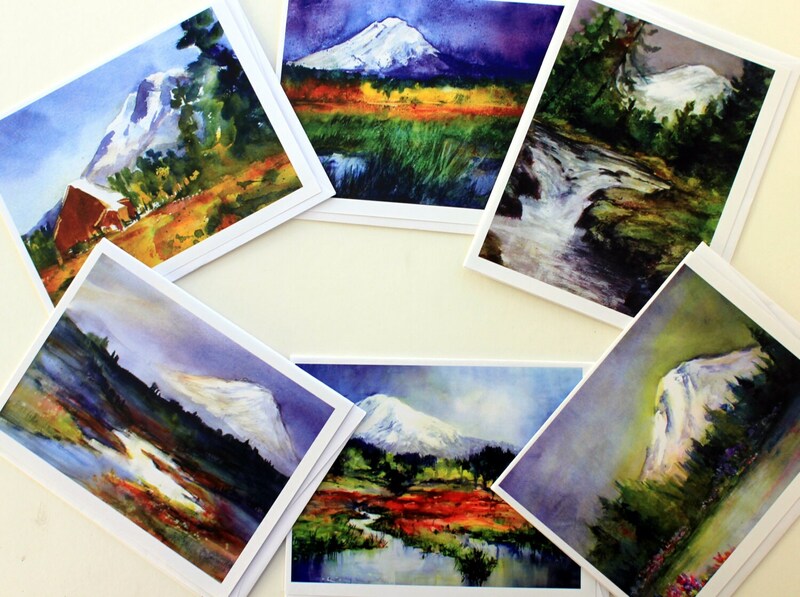 This is a collection of six assorted 4.25x5.5 blank note cards, representing Columbia River Gorge landscape scenes. These cards are made from prints of watercolor paintings painted by me. They are great to use as notes, invitations, thank you cards. They have even been used as wedding invitations. 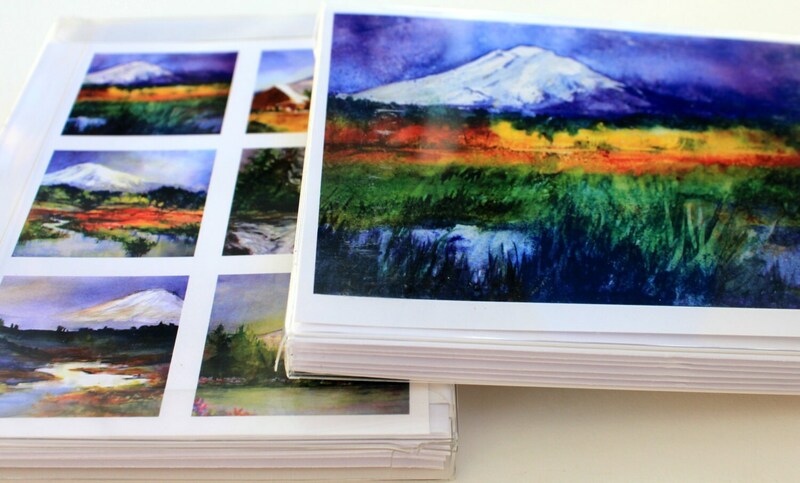 This assortment includes three prints of paintings of the Columbia River Gorge, two of Mt. Hood and one of Mt. Adams. They are printed on card stock and the envelopes are included. These cards come packaged with a clear plastic cover. They also make great gifts for birthdays, Mother's Day, or Valentines Day. This pack includes contains scenes of the Columbia River Gorge. I am award winning watercolor artist Bonnie White. I specialize in painting everything and anything I love the most. You can see some original paintings at www.bonniewhite.net.